With technology playing such a prominent role in businesses today, people in all fields are being impacted in new, exciting ways. Perhap one field that is dealing with some particularly big challenges is sales. With technology playing such a prominent role in businesses today, people in all fields are being impacted in new, exciting ways. Perhap one field that is dealing with some particularly big challenges is sales. For decades, sales teams have operated under certain strategies that have proven effective, but with the rise of the internet and social media, the balance of power between salesperson and customer has subtly yet noticeably shifted. Not only is there more information available to customers, but sales teams now have access to unprecedented amounts of data. In fact, in one survey more than 80% of salespeople said they feel challenged by how much data is out there and the amount of time it takes to research what they need. With these challenges out there, sales teams need help in establishing relationships with more promising customers and getting more sales opportunities. Big data may in fact be the key to reaching these goals, while more answers may lie in unexpected places. One survey says 82% of salespeople are challenged by the amount of bigdata out there. The way salespeople interact with prospective customers has changed drastically in the past few years. Traditionally, customers would contact a business while in search of a product or service and be put in touch with a sales representative, who would in turn have all the information and answers for the customer. That’s rarely how things work anymore. Customers are now able to get all the information they need through internet sites, social media, and other networks that weren’t available in previous decades. That means they are aware of competitors’ information, company or product weaknesses, and what close friends and associates are saying. That puts salespeople at a disadvantage, but big data can help with this problem. In this case, the answers can come from the marketing team. For years, marketers have been collecting data on customers, discovering their interests, passions, and values, all while gathering what insights they can on what motivates them. Relaying this data to sales teams can help salespeople better understand potential customers, getting to know them and being able to respond to their concerns even if customers don’t voice them. Big data can also help sales teams identify the prospects that are the most promising. This can be done through predictive analytics–applying big data to better predict which customers are most interested and will respond more positively to a sales pitch. Big data allows businesses to analyze each account they have and correctly pick the right time and method for dealing with them. This strategy has the potential to lead to some impressive results. In one case, business outsourcing company ADP’s sales team used big data tools for a year. 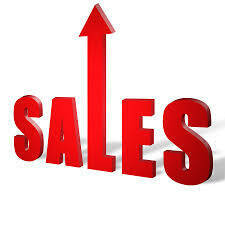 The results was 52% more sales opportunities for the company along with an increase in sales productivity of 29%. The results from using big data have many companies rushing to implement their own big data strategies. Luckily, there are plenty of big data sales apps and tools to choose from. Most of them revolve around integrating with a customer relationship management (CRM) platform designed specifically for sales divisions. These sales apps have plenty of advantages, including capabilities in predictive lead prioritization, predictive lead scoring, and other areas. As more companies utilize advances in flash array storage technology, the tools will become more available and cost-effective. These apps and tools, when utilizing big data properly, can help develop and foster sales relationships and identify changes in a buyer’s behavior, helping sales teams respond in real time to these changes along with fluctuations in the sales cycle. Only through big data can these apps parse the data and recognize the patterns to make these accurate predictions. Another helpful tool that big data provides is the ability to evaluate members of the sales team. In much the same way big data can determine the most promising customers and how to approach them, the performance of a sales representative can also be analyzed to better see who is meeting expectations, who is doing better, and who is not meeting the established standards. By identifying where salespeople need improvement, managers can create more personalized training programs, effectively getting rid of a blanket approach that isn’t the best way to handle an entire sales team. This contextual coaching can even be evaluated based on performances in real time. There is still much progress to be made for sales teams looking to make use of big data. The potential is there, and those that have taken advantage of it are already seeing the great results. With a more effective sales team, businesses will prosper and be more productive, gaining new customers all the time while keeping the customers they already have.